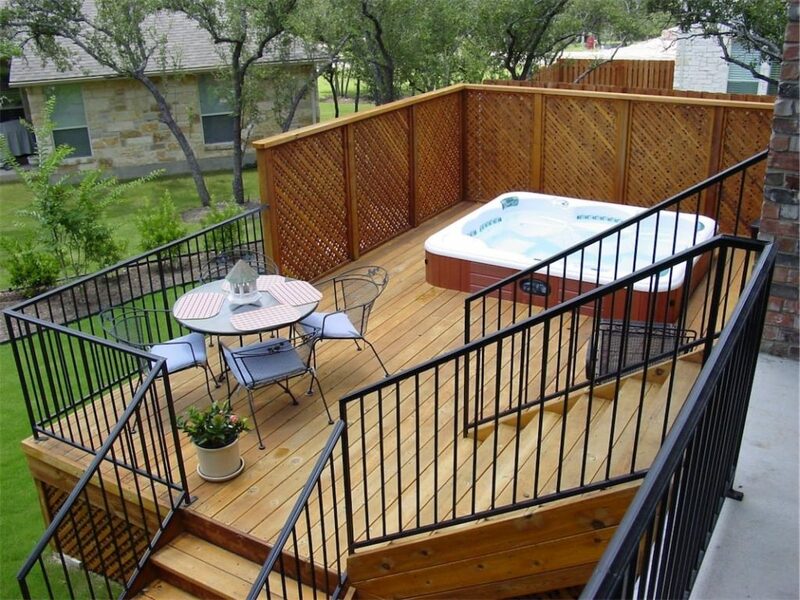 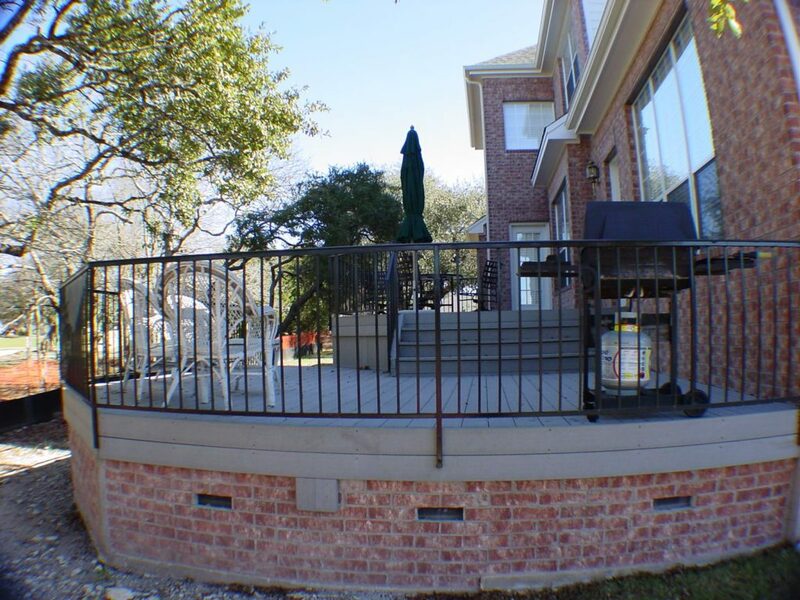 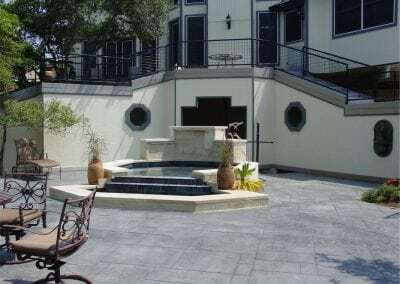 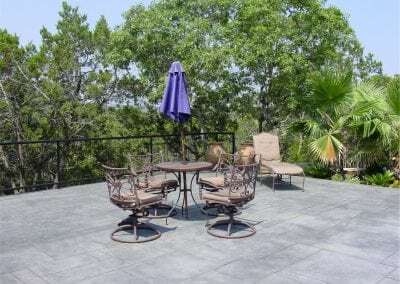 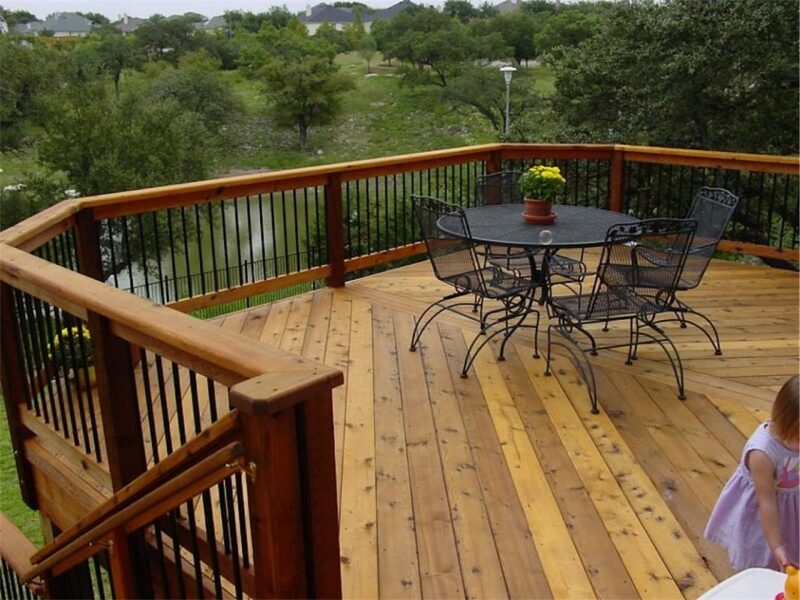 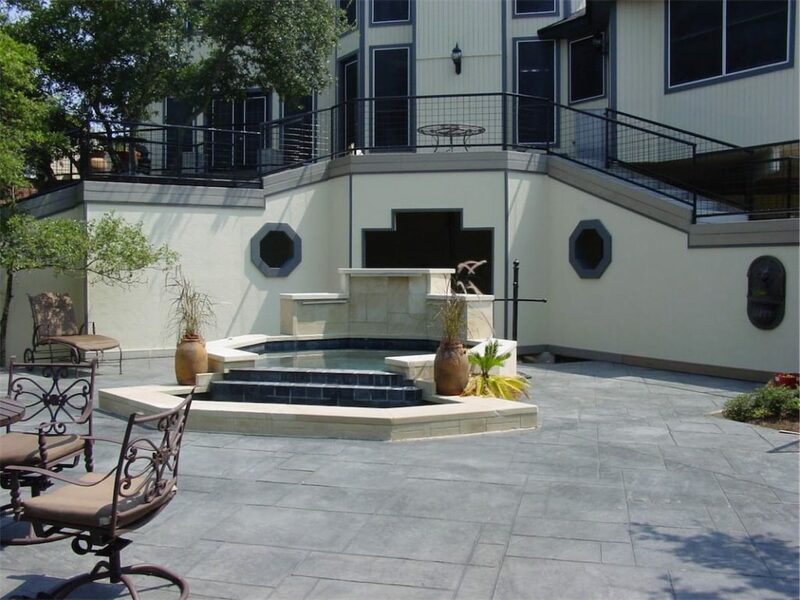 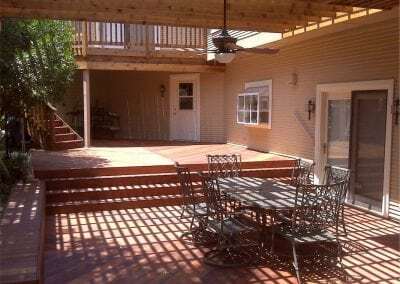 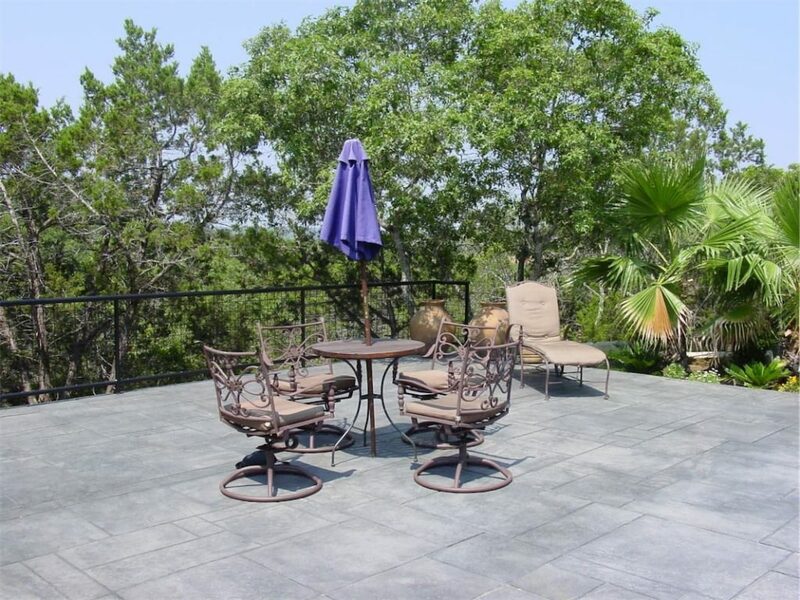 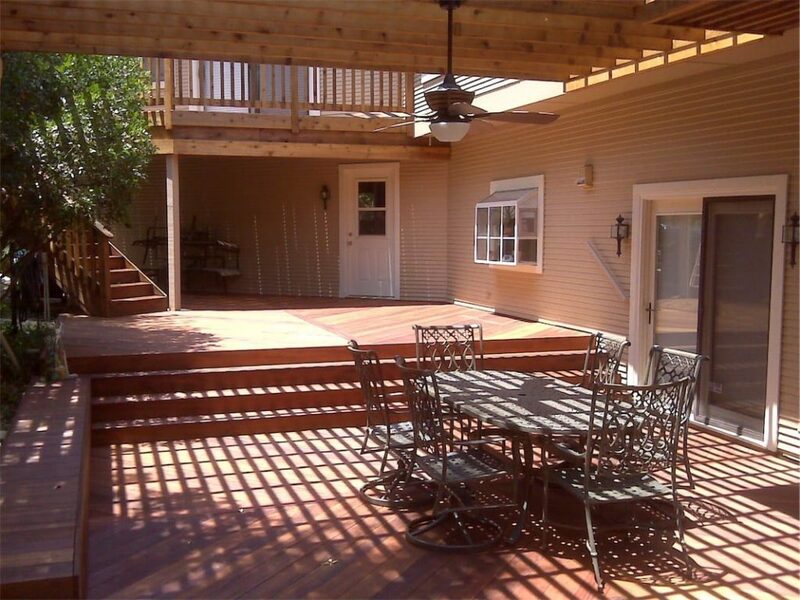 Composite decking is fast becoming the most popular decking surface in central Texas for a variety of reasons. 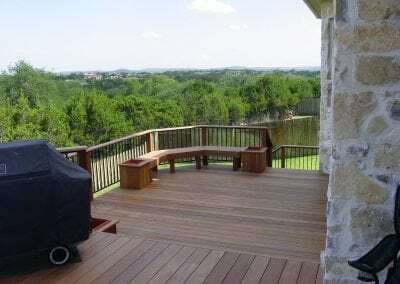 While this type of decking has been available for many years, recent advancement in production processes, materials, and refinement have produced some of the most durable composite decking ever. 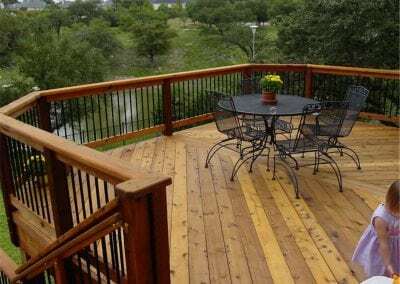 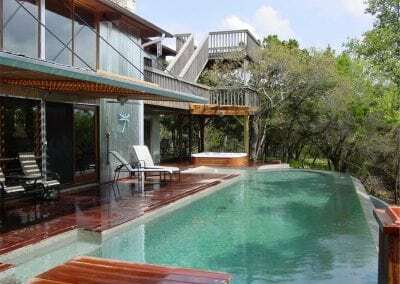 Composite decks in the past have meant that you had to sacrifice the beauty of real wood for the function and relatively maintenance free qualities they offer. 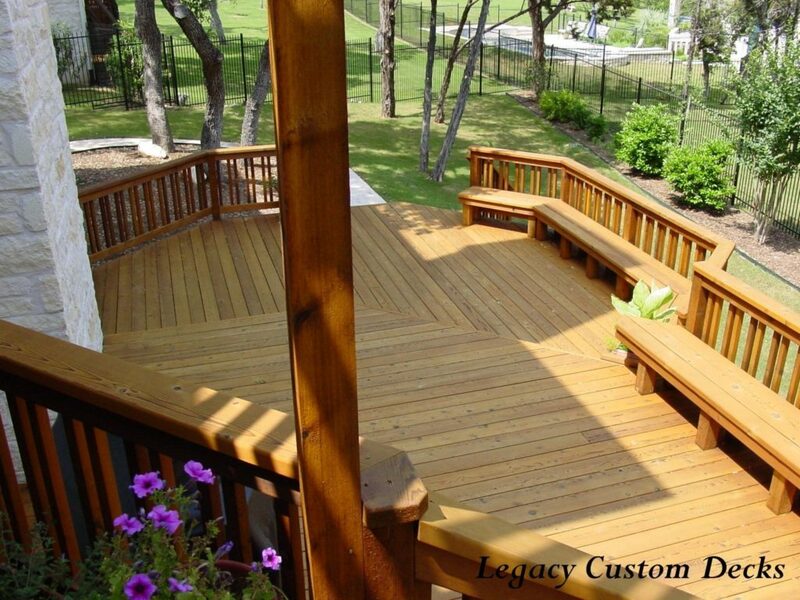 Today’s composite decks are by far more wood like in appearance than ever. 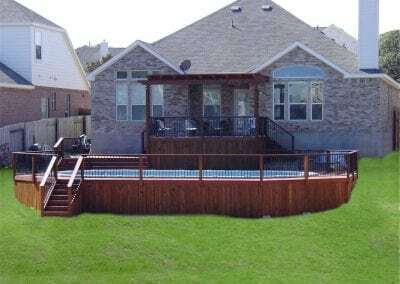 To begin, a little bit about the production of composite decking material will help you to understand some of the design limitations of this material as well as provide you with a better understanding of the benefits. 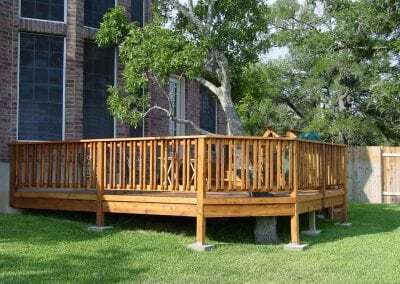 “Composite” means that the decking is made up of more than one type of material, in the case of decking, that is typically some type of plastic mixed with wood pulp fibers or “wood flour.” A typical process for forming the composite deck board would involve heating the plastic to its melting point, adding the wood flour, and then extruding it through a die to form the desired profile. 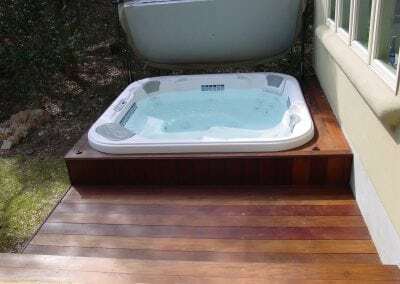 Many of the new composite deckings will then go through a second process of applying another layer of plastic to the deck board; this layer will have the color as well as grain definition. 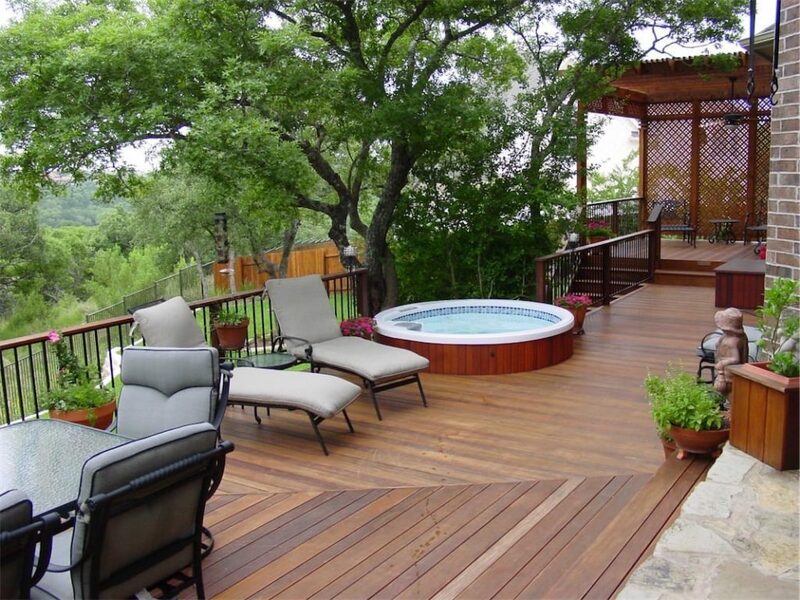 Composite decking’s durability and low maintenance make it desirable over typical wood products. 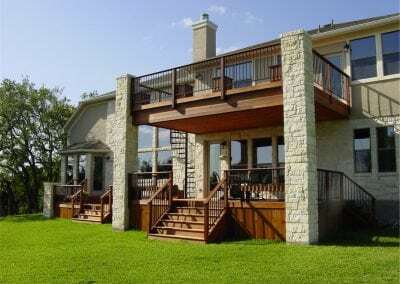 Most of today’s composite decks require little more than a garden hose for cleaning and require no stain or sealants at all to maintain their look, they are not susceptible to the rot and mold or mildew growth that some natural wood decks are. Most composite decking is designed to be installed with hidden fasteners or top screwed. While composite decking is very durable there are specific construction variations that you must use in order to get the most out of your decking. 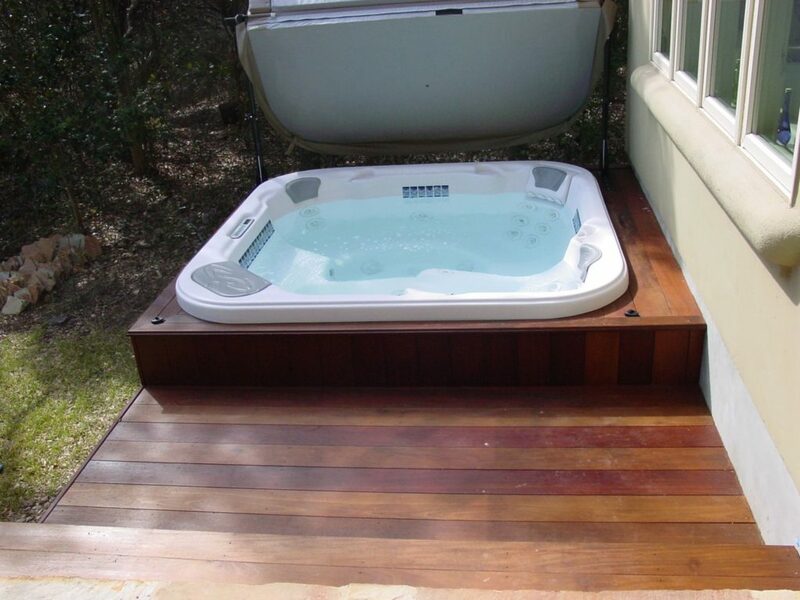 It is not as simple as put a composite decking on in place of wood decking. 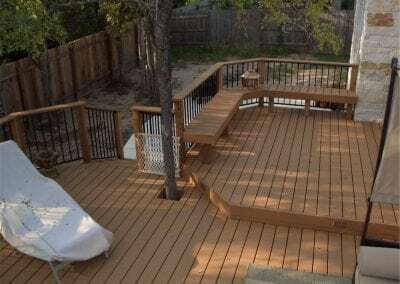 Our expert designers and installers are fully trained in the different construction techniques for every different composite decking. 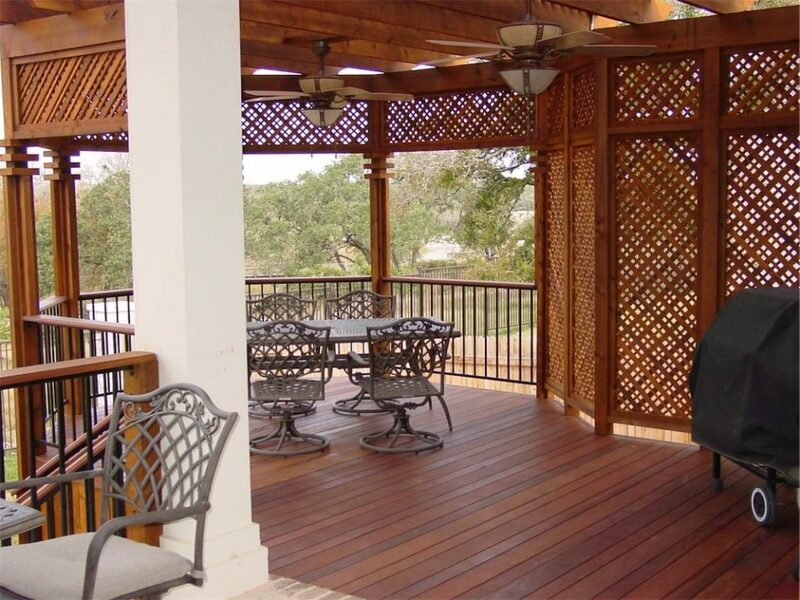 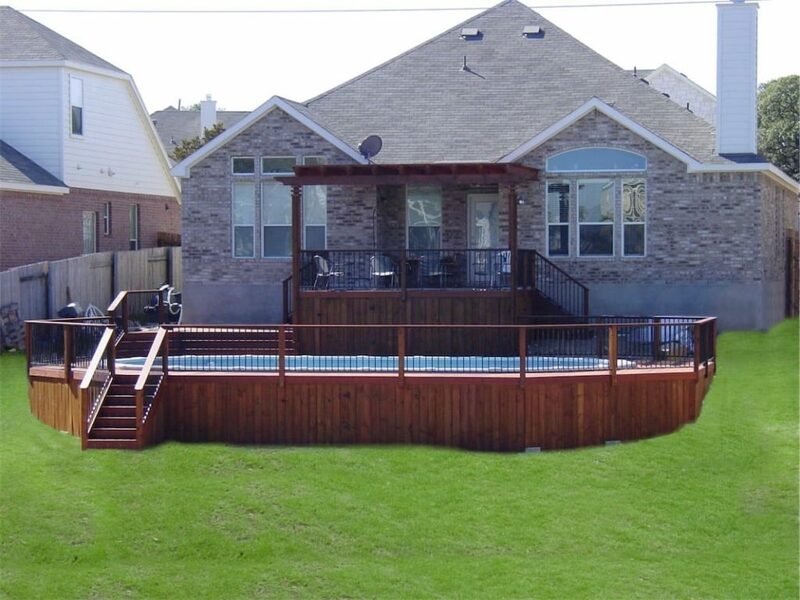 Composite decks are available in a wide variety of colors and price ranges. 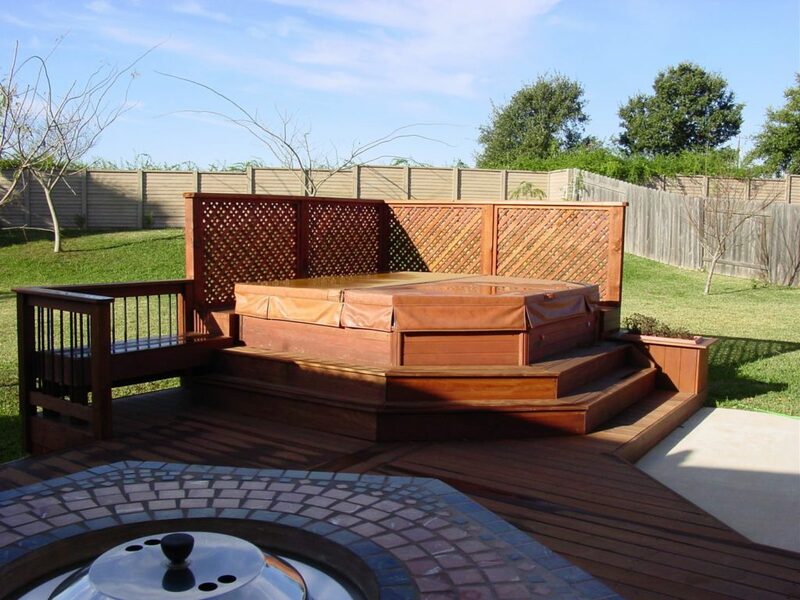 Our designers can find a composite decking product to meet just about any budget. 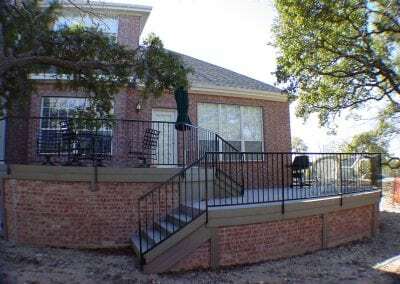 Browse through the galleries and ask about other brands and styles available. 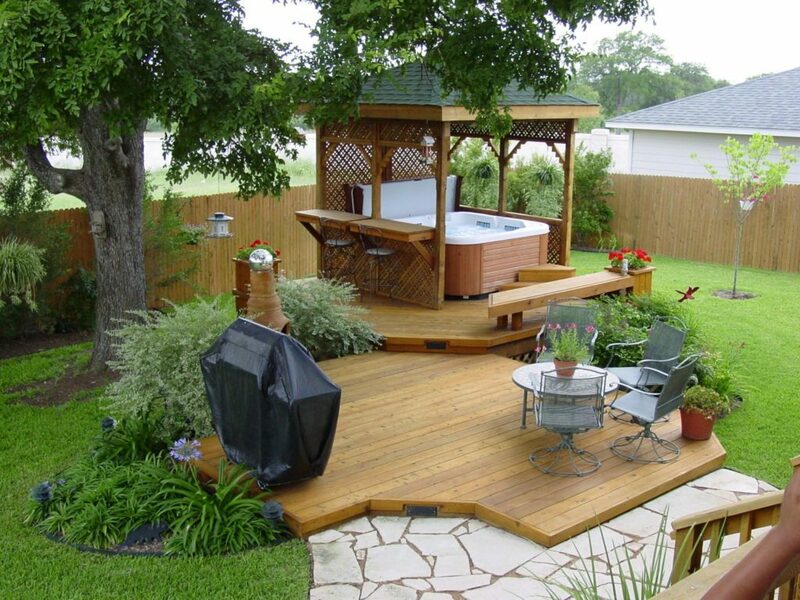 After working tirelessly for the better part of the week, most people cannot wait to just sit and relax on their decks. 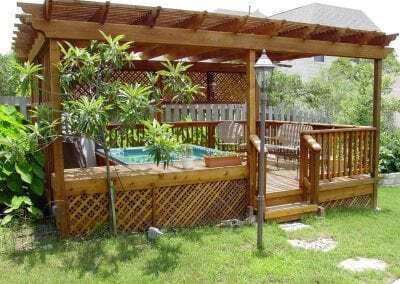 This is that safe and private area where you can just relax and watch your kids play or bond with a couple of friends sipping their favorite drink. Decks are a timeless backyard addition. 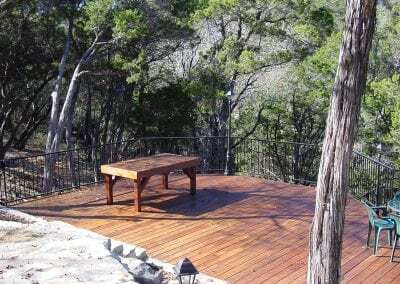 The most popular choice over the years, for decking surface has been softwoods such as cedar, pine or redwood. 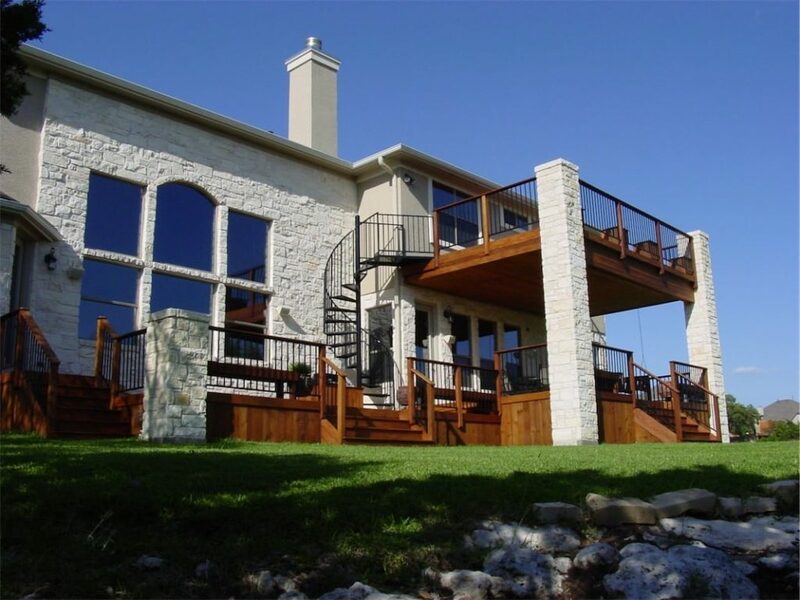 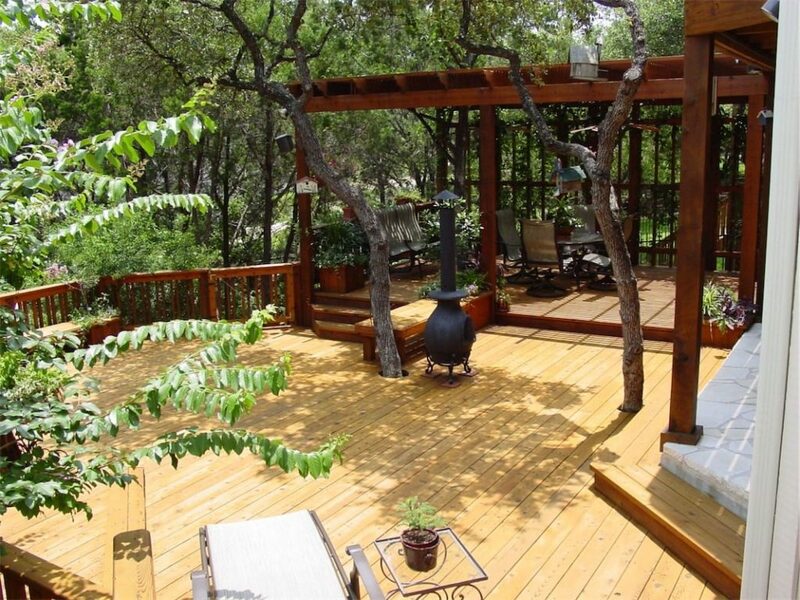 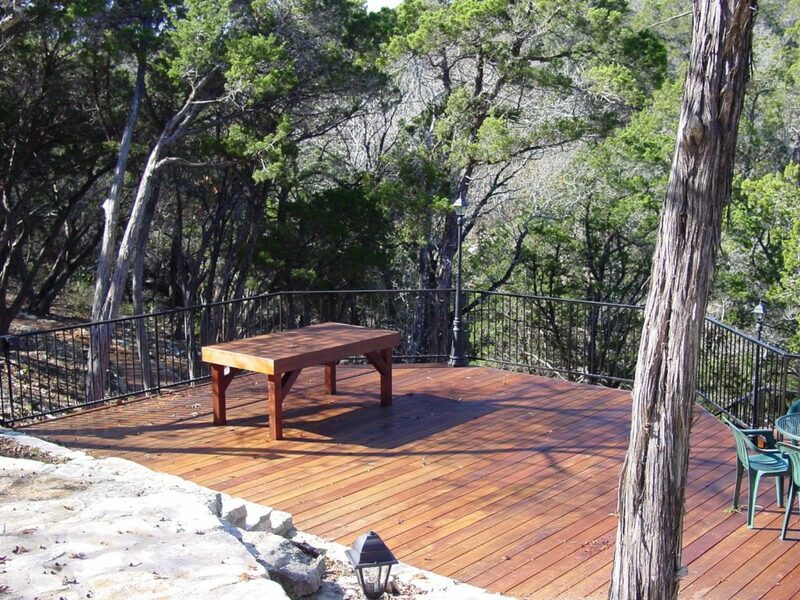 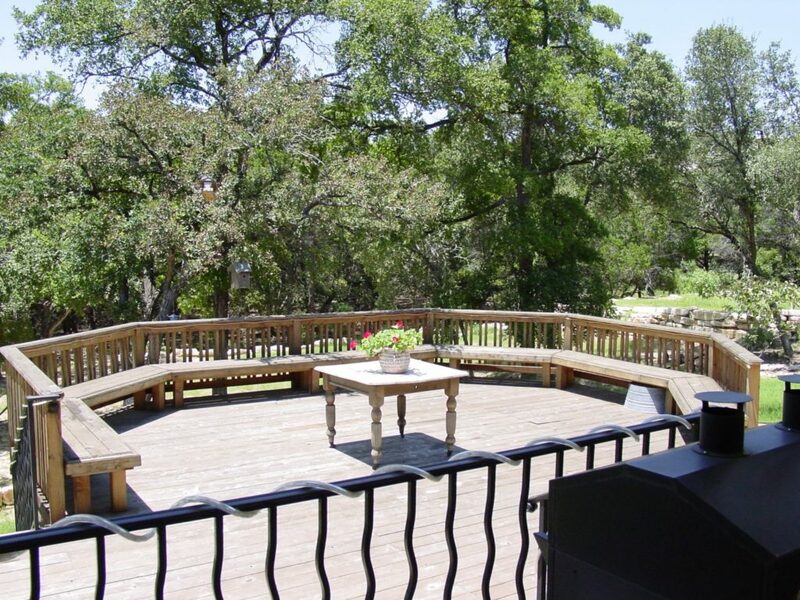 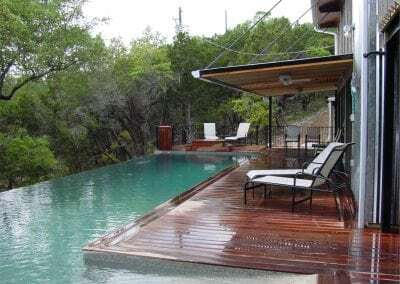 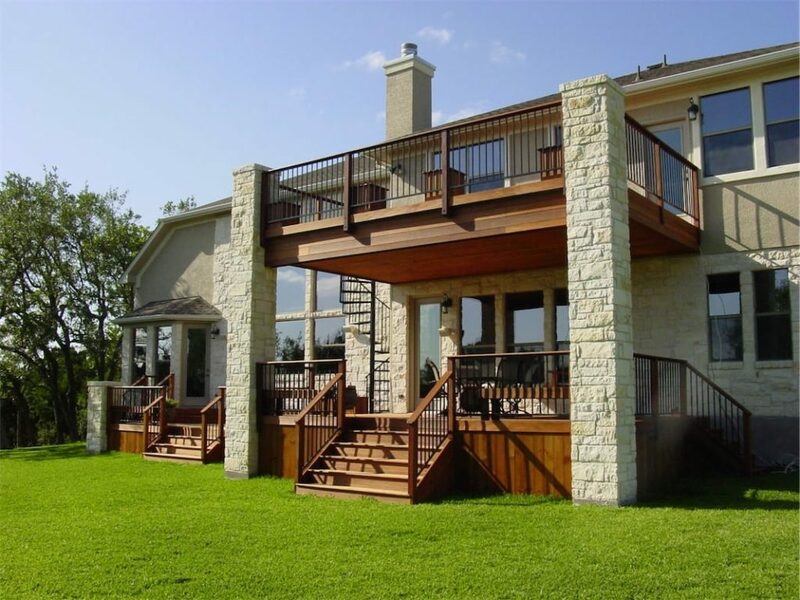 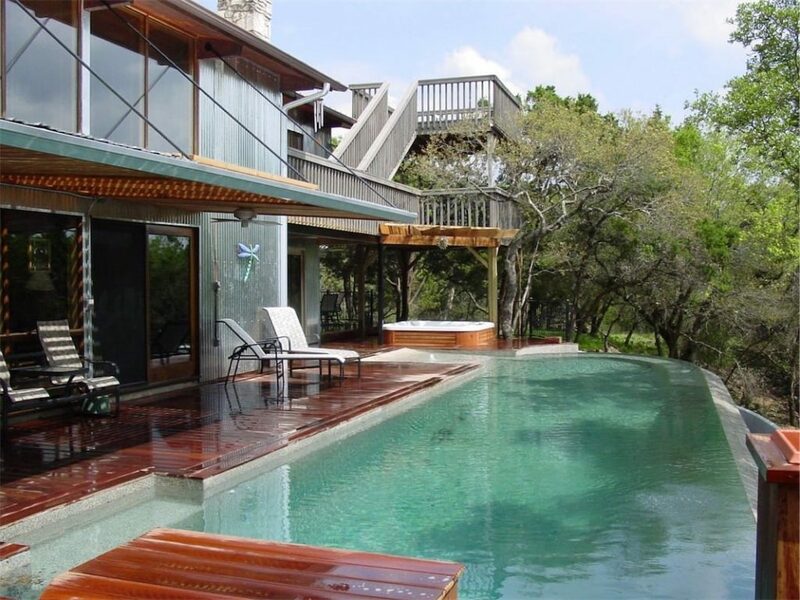 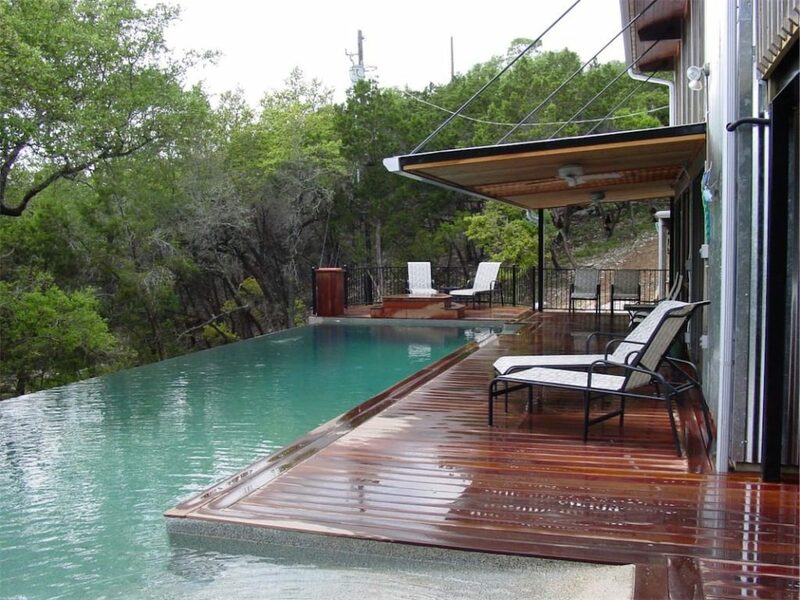 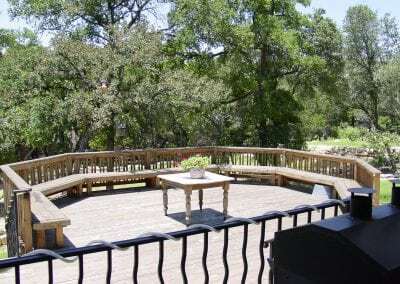 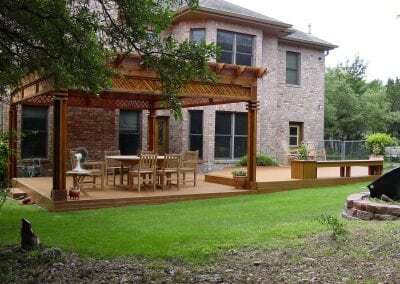 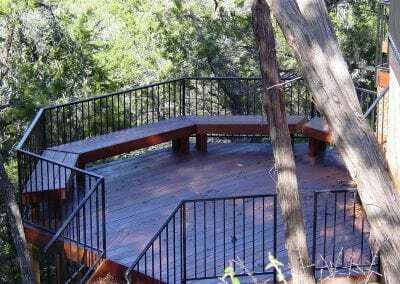 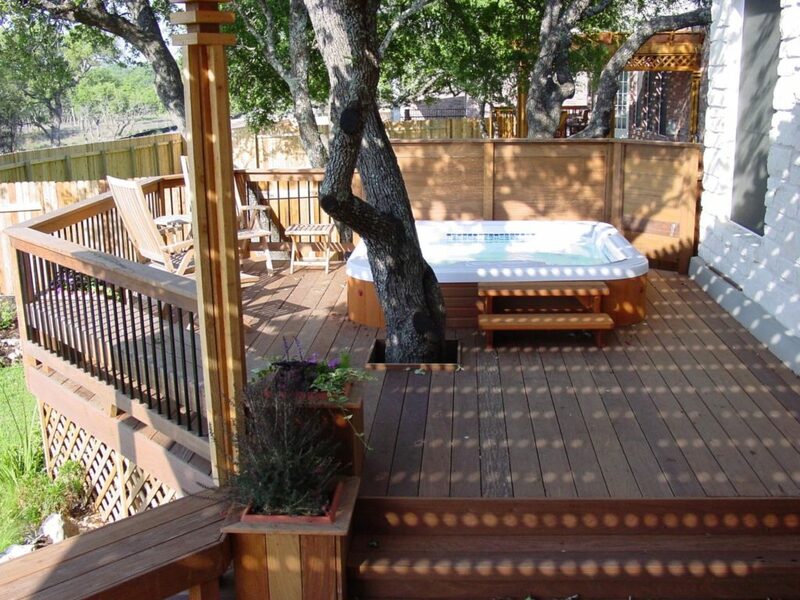 Western red cedar is the most commonly used type of softwood to build decks in the central Texas area. 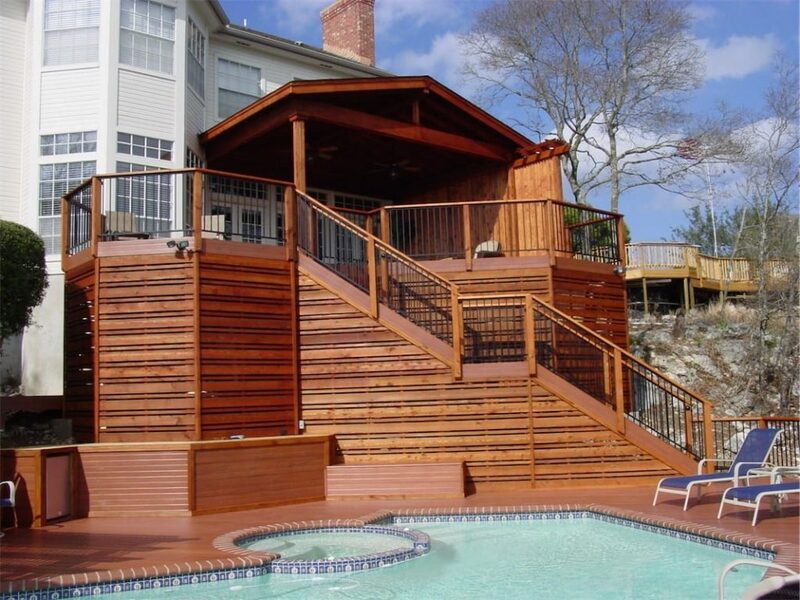 Softwood timber is obtained from fast growing evergreen trees. The local availability of these trees and their natural resistance to insects and rot, make them a perfect choice for decking that will encounter constant abuse from the elements. 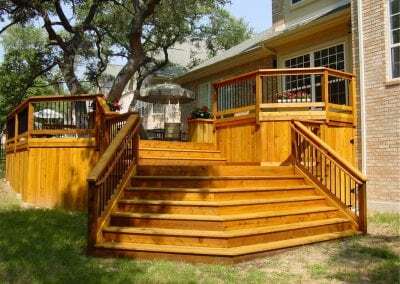 One of the things that make softwood decks very popular is the fact that they are very affordable. 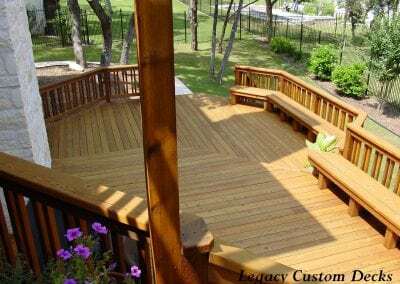 Treated pine being the most inexpensive of the softwoods is readily available and makes an economical choice for your new deck. 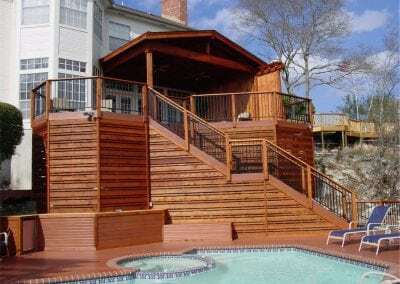 Cedar, while more expensive than treated pine, is still the number one choice in softwood decking in this area primarily due to its higher stability and ease of maintenance. 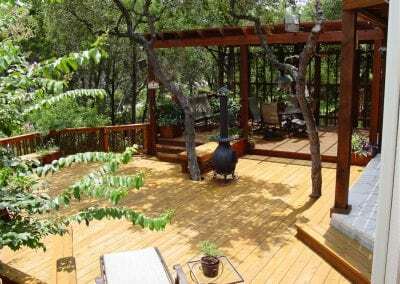 Different decking is more suitable for particular locations than others, for example a cedar deck fairs far better than a treated deck in the full sun of an unshaded backyard, while a treated deck is the best choice for a low, ground level shaded deck. 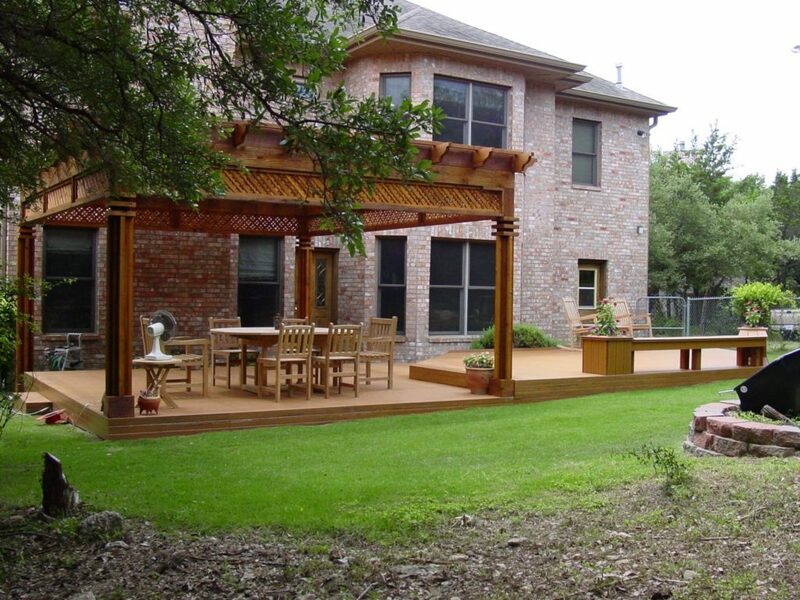 Our designers will help you to decide what the best options are for your deck considering the conditions and function. 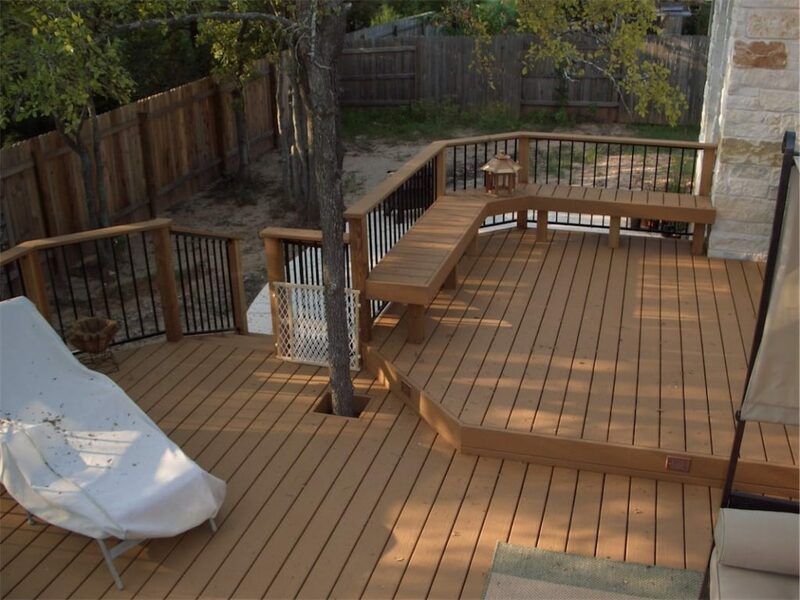 Before you consider the type of decking that is most suitable for you, make sure you evaluate all the options available. 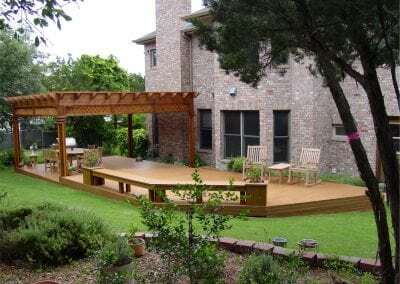 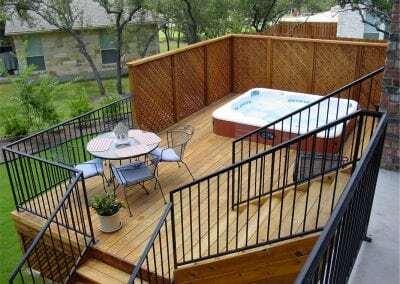 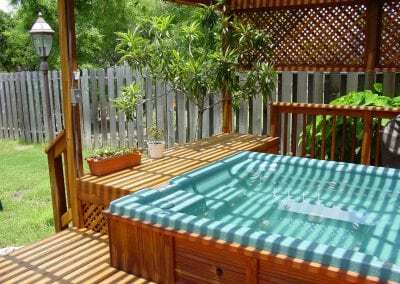 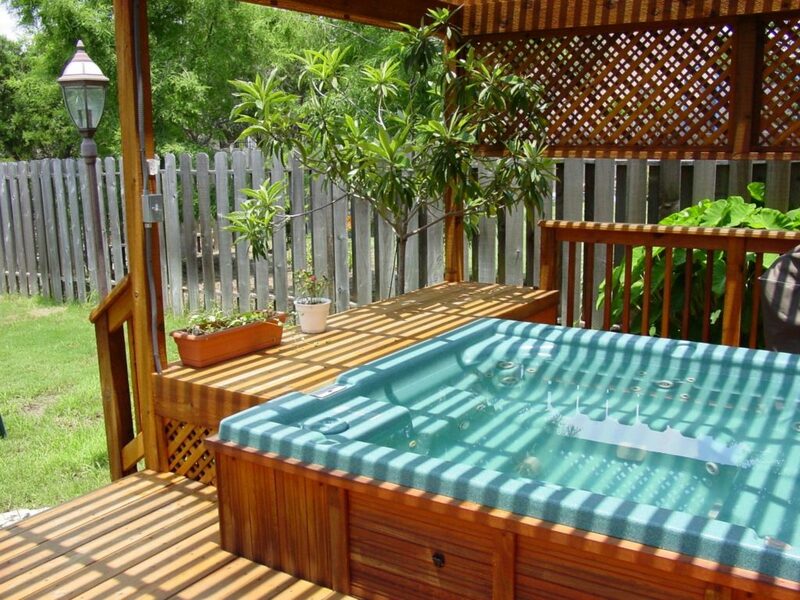 Look for decking that fulfils your budget as well. 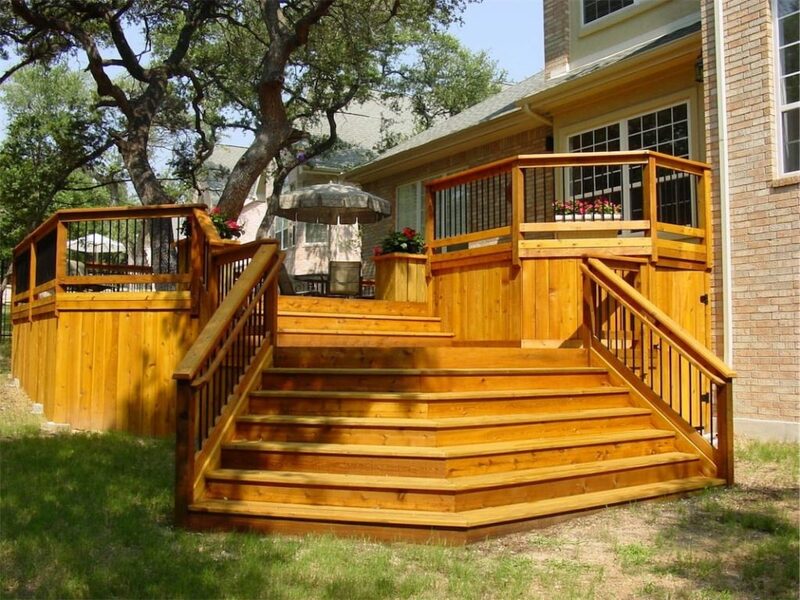 Softwood decking can be a good short term investment since they also require less costly installation. 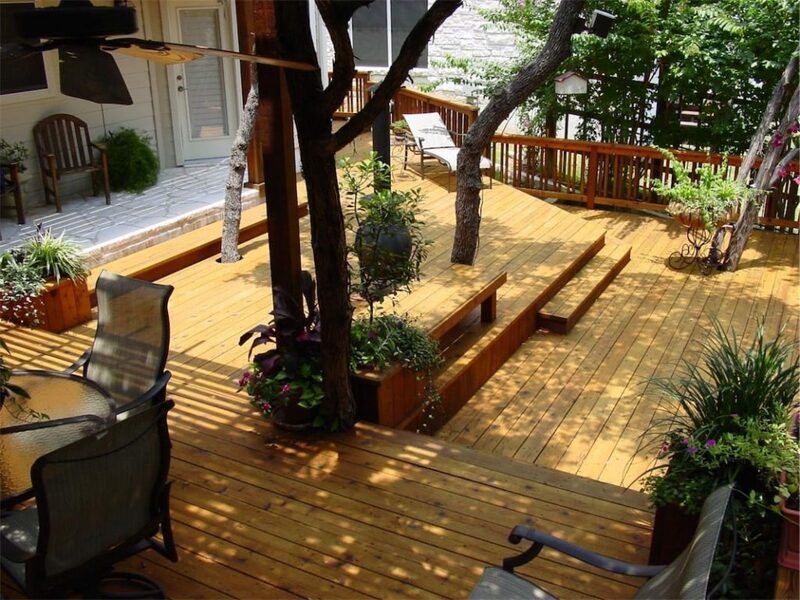 If you want your deck to look good within a budget then this can be the ideal option. 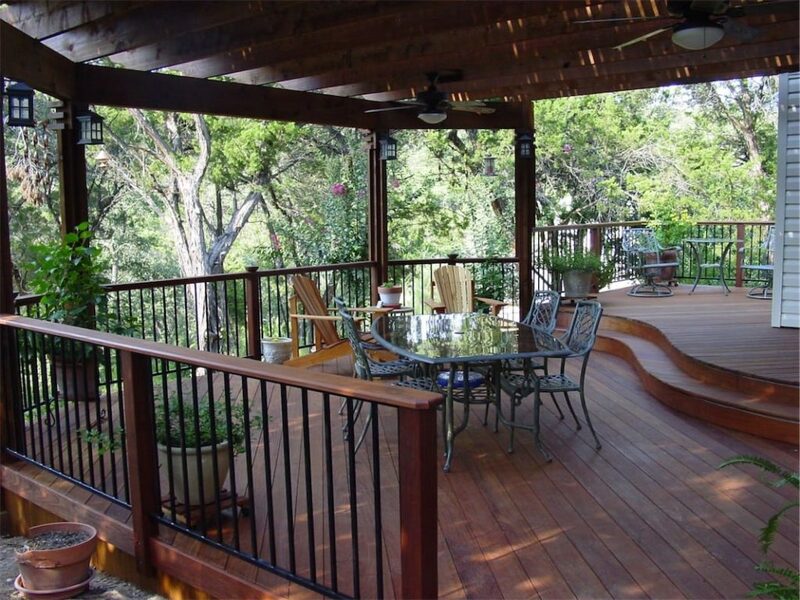 Make sure you consider treatments in order to prevent molding and rotting of your deck. 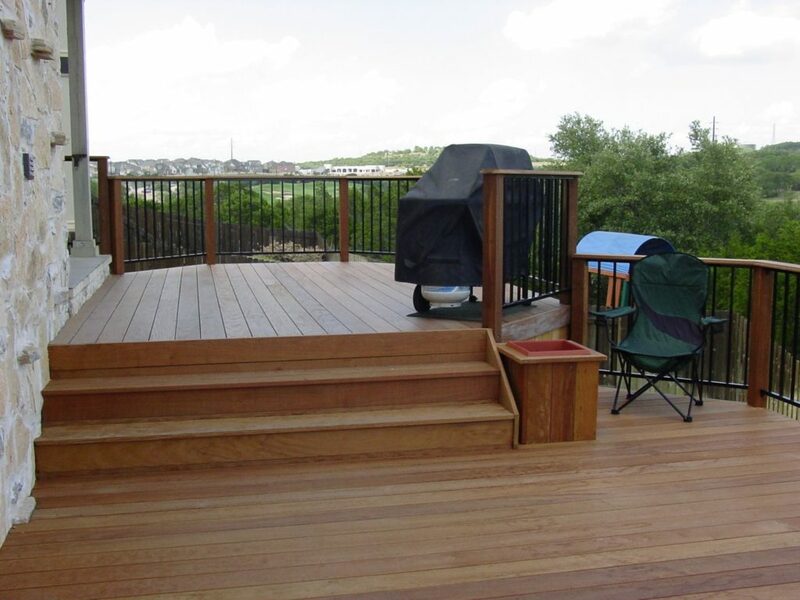 Maintenance of a softwood deck is crucial in getting the most out of your decking material. The fact remains that softwood decking is still a more economical decking solution, but requires more maintenance than other decking options. 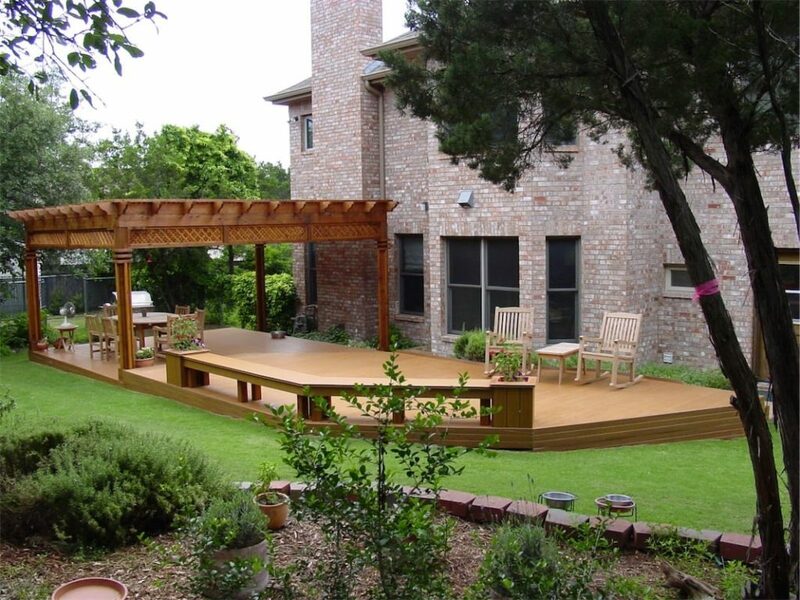 The right design can make your deck and ideal outdoor living space for whatever you desire. 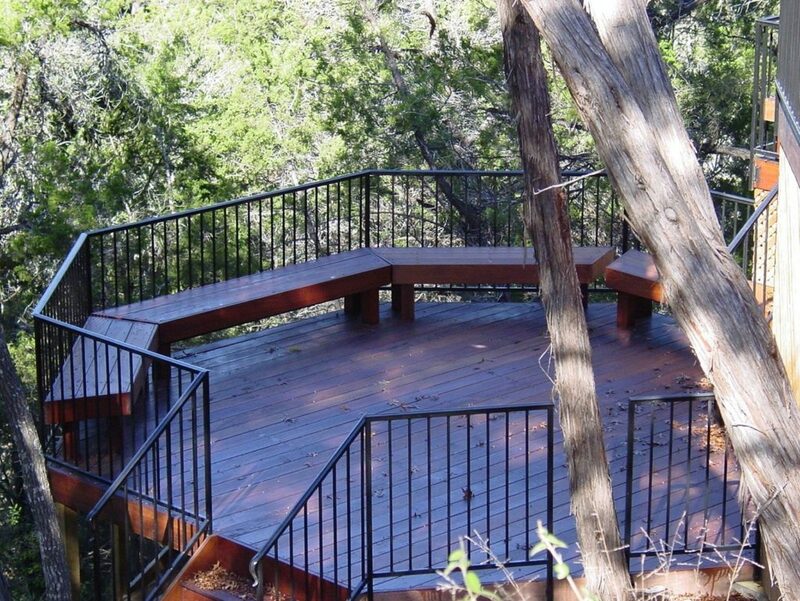 Relaxing get-away, family fun spot or entertaining hot spot our design professionals can help you bring the deck of your dreams to life.